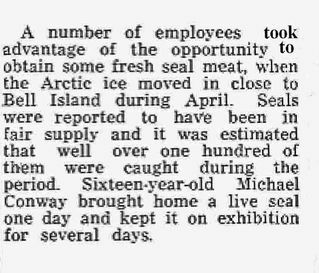 Published June 8, 2018 by the website: www.historic-wabana.com. ​This is the story of one woman who came to Bell Island in the early years of mining, and some of the struggles and hardships she faced in raising her ten children in a mining town. 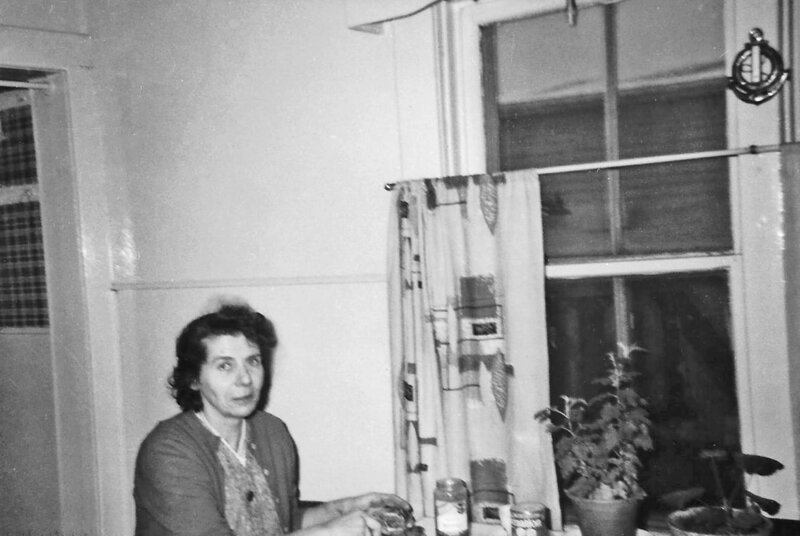 It is the story of my maternal grandmother, Emeline Rideout-Luffman-Dawe. 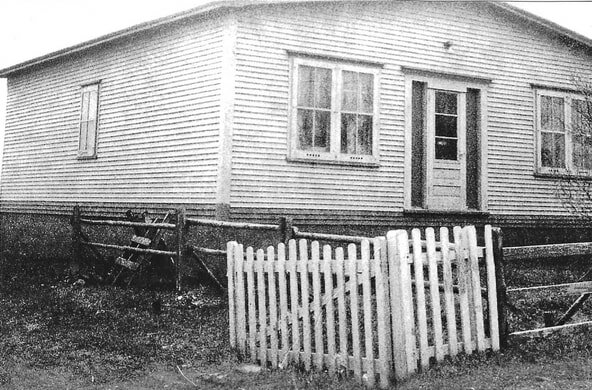 She was born in Robert’s Arm, Green Bay, in 1884 and grew up on Pilley’s Island. Her father, Richard Rideout (c.1849-1928) was a fisherman, ship-builder and lumberman. Her mother, Eliza Shave (c.1855-1896) died from complications of childbirth when Emeline was 11 years old. Emeline was then raised by her eldest sister, Mary, who became “mother” to her eight siblings. It is not known what formal education, if any, Emeline received, but she was able to read and write. 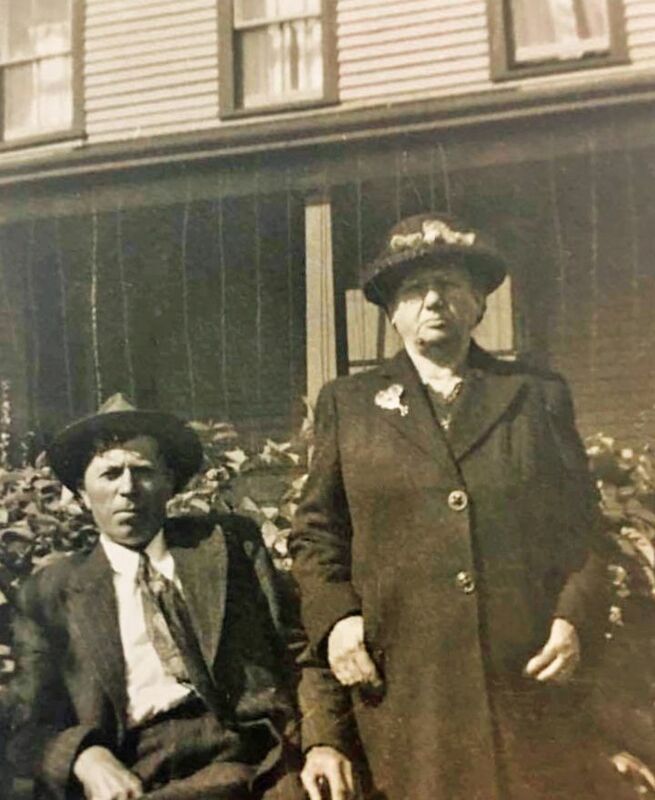 Perhaps, like many young girls of her time, she went “into service,” working in someone else’s home as a mother’s helper, or she may have stayed at home to help raise her younger siblings, as her father did not remarry until 1902. No doubt she helped out with the family’s vegetable garden and domestic animals and assisted in the curing of fish. Emeline’s two older boys, Ned (13) and Eric (11), were taken on by the Company to run errands and do other work suitable for their ages. This helped support the family and allowed them to stay in their Company house. Emeline received a paltry government widow’s allowance of eight dollars a year. From the Company, she received compensation of $25 a month, which would be discontinued after 5 years. To make ends meet, she took in boarders, one of whom was John Dawe, a miner who was 10 years her junior. A few years later, in 1919, they married and went on to have four more children, two of whom died in infancy of childhood diseases. The family continued to live in the Company house on Fourth Street until about 1934, when they purchased a private residence on Armoury Road. The property included several acres of farmland, which they utilized to grow their own vegetables and keep farm animals during the lean years of the Depression. John was now a blaster in the mines but, having come from a farming/fishing family, he longed to leave the mining life behind. In spite of not being able to read or write, sometime around 1950 he became an agent for Chester Dawe Limited building supplier, and set up business on his property on Armoury Road. Emeline developed diabetes about this time and, using a large needle and syringe, had to inject herself with insulin daily for the rest of her life. Other than that, she lived out the remainder of her days in relative comfort. Regarding published resources, some interesting personal experience stories from Bell Island women can be found in Kay Coxworthy’s books, especially Memories of an Island. 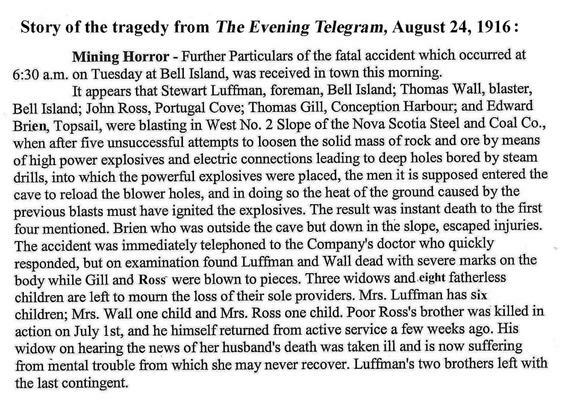 Addison Bown’s “Newspaper History of Bell Island” is an excellent source for news of what was happening on Bell Island between the years 1893 to 1939. Sadly, as with most historical documents, there is not a lot of detail about the daily life of the common woman and man. Most of the people who made the news were mining officials, business people, and other professionals, and practically all of these were men. 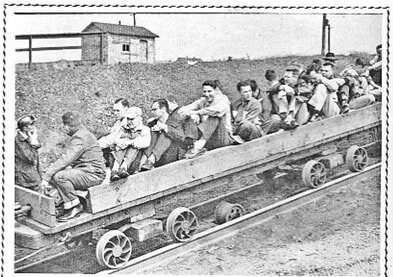 Members of the working class who appeared in the news were usually those who had suffered some tragedy, such as mining or other accidents, or were involved in rare incidents of criminal activity. I have gathered what I could from early Census data and Directories, and gleaned some scattered items from Bown concerning women’s social activities, most of which pertain to charitable work by church organizations. I will start with these original sources, then talk a little bit about women’s social life in general, then go into some detail of the work-a-day life of the average miner’s wife. 1898: The next Directory for Belle Isle (including Lance Cove) is in McAlpine’s 1898 Directory. Again, women are not named and nor are Scotia Company officials. Many of the former fishermen and farmers are now listed as miners. There are also some male businessmen, clergy and teachers. In 1913: The next Directory for Bell Island is in the St. John’s Directory 1913. This Directory lists hundreds of men but names only 43 women. Of these, 39 have the prefix “Mrs.” with no occupation given, probably meaning they are widows. In most cases, their Christian name is given, not their former husband’s name. Only one woman with the prefix “Mrs.” had an occupation listed: Mary E. Tuma was a general retail dealer and confectioner. Her husband had a separate business. Three women had no prefix before their names; they were probably unmarried. Two of these had an occupation: "saleswoman" and "caretaker of surgery." 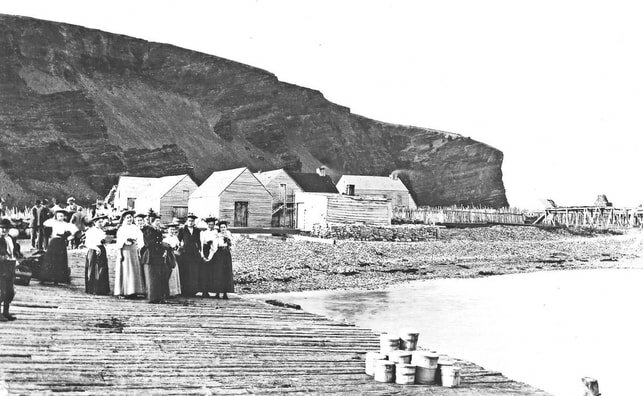 Throughout the mining years on Bell Island, there was a very active social scene. Orchestras often travelled from St. John's to play for dances. Live theatre, operettas and “concerts” were very popular in the first half of the 20th century. (The term “concert” usually referred to a variety show of individuals singing and performing music, recitations and skits.) It is obvious from the newspaper reports of these entertainments that it was mainly the families of the above-mentioned community leaders who had the most involvement in organizing and participating in these affairs. 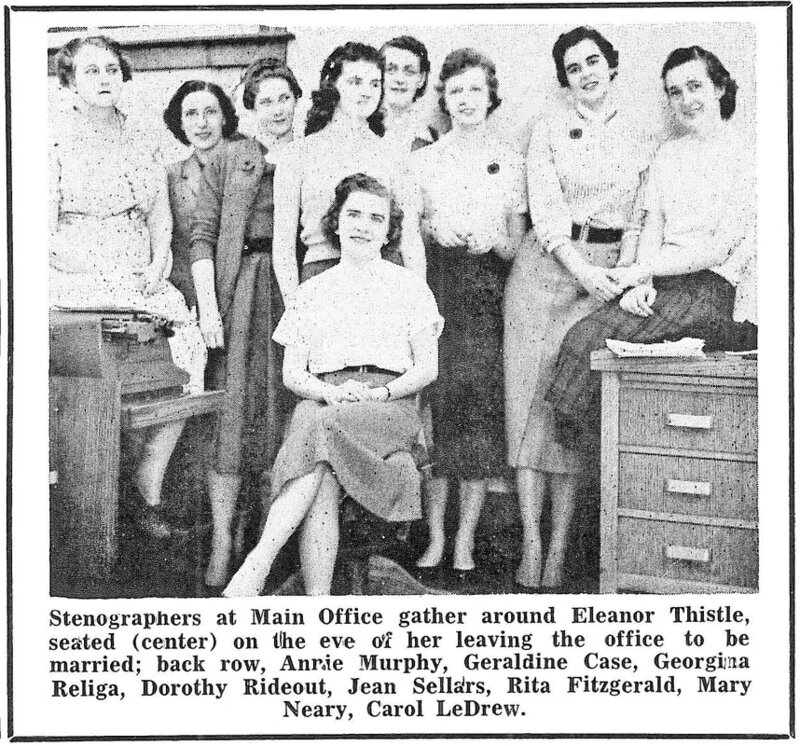 Before they were married and began having babies, young women of all social groups would have enjoyed these events, as well as ice skating and going to the movies. Local news was also passed around by children. For example, when I left my house in the morning, I would go to a friend’s house to see if she could come out to play. While I waited in the kitchen doorway for my friend, her mother would be sure to ask me what my mother was doing today. I remember that the first few times I was asked this, I did not have an answer because, in my haste to get outside to play, I had not paid attention to what my mother was doing. I soon learned to make note of her activity as I was leaving the house, so I could have my answer ready when asked. I also soon realized that it was always the same thing that my friend's mother was doing: laundry or baking bread, or whatever. In a way, this was confirmation for her that she was not missing out on anything. Everything was equal. Once that was out of the way, she would ask if there was any news. There usually was not, at least none that I would have picked up on. ​Yes, our father went out every day and worked at a hard, dangerous job in the mines to earn enough money to provide us with the material things of life, but he was only half of the equation. Without his wife, our mother, at home keeping the home fires burning (literally), looking after the children, cooking and cleaning and doing all the other bits of business required to keep the household going, his life would have been a sorry state indeed. 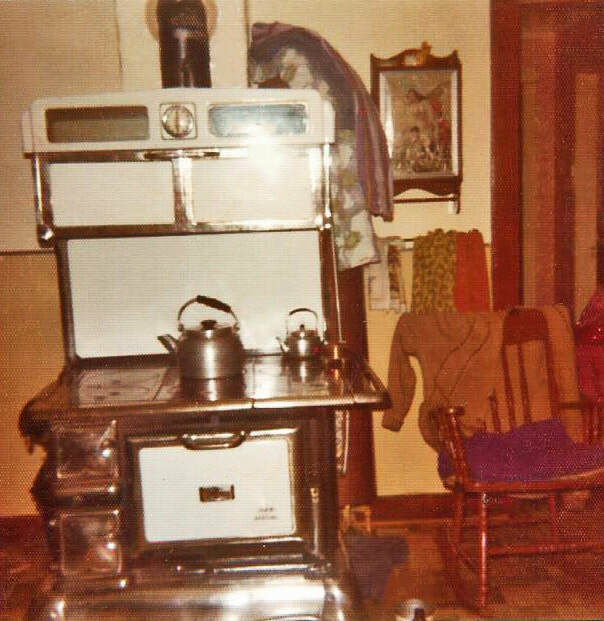 The following descriptions of home life on Bell Island in the 1950s and 60s and some of the work done by housewives are partly my own memories of that time with input from women I interviewed. The pile of coal was kept in the unfinished basement in our house. By “unfinished” I mean the walls were partially concrete, but mainly earth and rock, as was the floor. Indeed, only about half of the basement had standing room, enough to hold the furnace and the winter’s supply of wood and coal needed to get us through to summer without freezing. There were cast iron radiators throughout the house and these instilled a warm cozy feeling when you walked past and reached out your hand to feel the warm metal, however, the cast iron coal furnace was used sparingly, being reserved for the coldest nights of the winter. I am not sure why because coal was only $4.00 a ton and was delivered to the Island regularly on boats that came from Cape Breton, Nova Scotia, where it was mined by the same company that operated the Wabana mines. Each fall a dump truck would back into our yard and dump four tons of coal next to the opening for the coal chute. My father would shovel this into the basement when he got home from a day of working in the mine. As my brother grew, it became his job but, when he left home in 1962, it was down to Mom and us girls to do it. Some of the delicious baked goods that my mother made from scratch were: tea buns (with raisins), date squares, blueberry squares, pineapple upside-down cake, a coffee cake that we called “earthquake cake,” and (my favourite) gingerbread. My grandmother used to make something that resembled gingerbread, but tasted nothing like it and was actually salt pork buns. I recall being very disappointed biting into one of these, thinking it was gingerbread, and encountering the disgusting texture of a salt pork scrunchion in the center. I did not know what to make of it and my grandmother did not know what to make of me for disliking it! ​Sometime around November every year, my mother would bake two fruit cakes, one dark and one light, in a cast iron bake pot. After cooling, they would be put in round cake tins and placed on the top of the upper cupboards in the pantry, well out of reach of little hands so that they would not be eaten before Christmas. The aroma from those cakes would be intoxicating, and I well remember standing in the pantry and staring longingly at the cake tins, savouring that wonderful smell. Homework or "Doing Our Lessons"
There was usually spelling to be practiced, arithmetic to be done, readings from the literature, geography and history books, and those dreaded poems and religious verses to be memorized. During the elementary school years, our mother would sit with us each evening to supervise this work, test our spelling, ask us to say our multiplication tables, check our “sums,” and read our paragraphs or essays for errors. (I should have added "editor" to her list of jobs!) In the higher grades, we continued doing homework at the kitchen table, but we each worked quietly away on our own. Mom would not be far away though, making sure that we kept to the task at hand. She was the main reason we all did well in school. We were willing students and she instilled in us the sense that we needed to go through this process in order to succeed. My sister recalls that when she was finding some aspect of homework difficult, Mom would tell her, "Just do your best." ​The last thing we did every night before heading off to bed was to sit around the table for what we called a “mug-up,” or a “lunch.” This usually consisted of little more than a cup of tea and a slice of bread with molasses, or plain Purity biscuits with margarine. There might be a slice of cheese as well. I don’t recall Mom ever baking cookies, but she would purchase a package of Purity sweet biscuits every Friday night when she did the week’s shopping. Sometimes she would allow us one that night with our mug-up and another the next night. If there were no visitors on Sunday afternoon, there might even be some left to be eaten with tea to end off Sunday's supper. At any rate, they would be all eaten by Sunday night and it would be plain biscuits for the rest of the week. Many homes did not have flush toilets until the 1950s or 60s. Until then, the toilet was a small outhouse in the backyard, as far from the house as possible for sanitary reasons. It was often only a little wider than its door, although the outhouses built by the Company for their miners' houses were usually double in size with two doors. One side was the toilet and the other side was for coal storage as the Company houses did not have basement storage. Inside the outhouse, there was a bench-like structure containing a round hole with a wooden cover. ​Back in the house, beneath each bed was a chamber pot. This was a bowl-shaped pot with a handle and (sometimes) a cover. Some were ceramic and others were enamelled metal. They could be plain white or painted in colourful flowers. 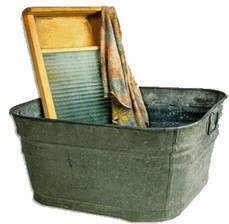 These were used at night and first thing in the morning, and it was usually the housewife’s job to empty them into a slop bucket in the back porch and then dump that down the hole in the outhouse. As well, she had to keep all of this clean. It was a nasty job, but somebody had to do it. ​Until the 1970s when it became more common for mothers to work at paying jobs outside the home, all the child-rearing and child-care duties were the responsibility of the housewife, with help in larger families from older daughters still living at home. Even then, the mothers were the managers who oversaw everything and ensured it all ran smoothly. 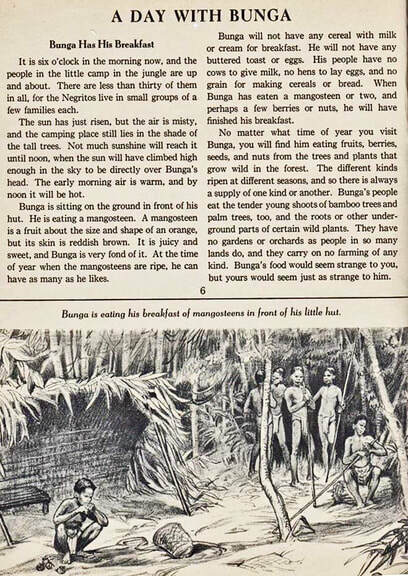 As described above, mothers shopped for and prepared the food, and made sure it was ready and on the table at the prescribed meal times every day. They then cleared and cleaned up and started preparing for the next meal. They washed and dressed their little ones and made sure the older ones groomed and dressed themselves appropriately. They cleaned the clothes and the house so that everyone had what they needed, when they needed it, and had a clean and comfortable home to come back to. The only thing the mothers asked of their young children was that they play nicely outside all day so that she could do her work in peace and quiet. Outside, older children were expected to keep an eye on the younger ones. In large families, older girls were expected to help with the housework and cooking and older boys were expected to help their fathers with outside jobs, such as shovelling coal into the basement and chopping wood for kindling. If there was a vegetable garden or farm animals, they would also help with that. 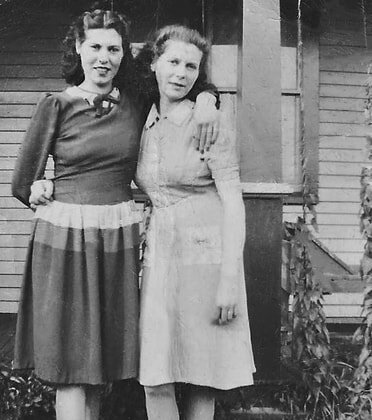 In larger families, older girls were sometimes kept home from school to help with the inside jobs and boys would often leave school by their mid-teens to work odd jobs with the mining company to help support the family, but mothers did their best to keep them in school as long as possible. ​Sometime in the late 1940s, Bert Rideout began operating the first motorized ambulance service on Bell Island. As well, he was an undertaker who also sold coffins but did not operate a funeral home. 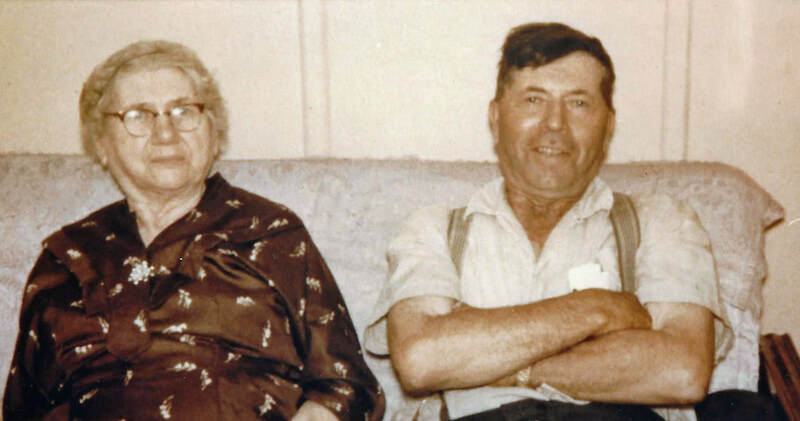 It is not clear who prepared the dead for the wake prior to that time, but in many Newfoundland communities this work was shared by family and friends, men preparing a man and women looking after a woman, so in all likelihood that was also the case on Bell Island. 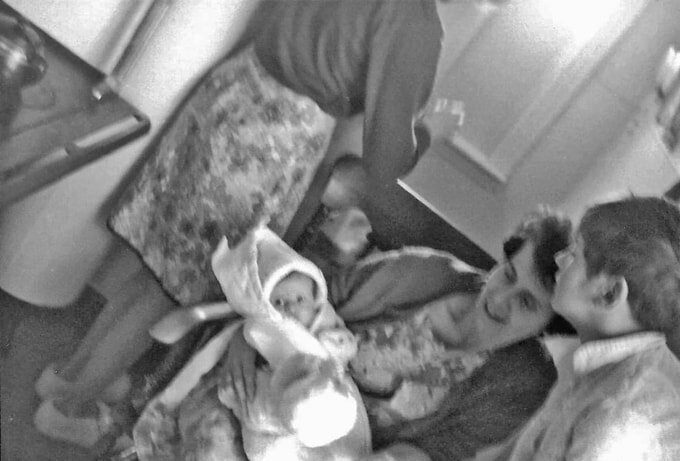 Right up into the 1960s, the wake usually took place at home in the parlour or “front room” as it was called. If you noticed a house with the blinds pulled down during the day, you knew there had been a death in the family and a wake was taking place there. For three days, friends, relatives and co-workers would drop by during the afternoons and evenings to view the body lying in its coffin and to pay their respects. Women close to the family would bake extra bread and sweets and bring meals to help the family out in their time of mourning. 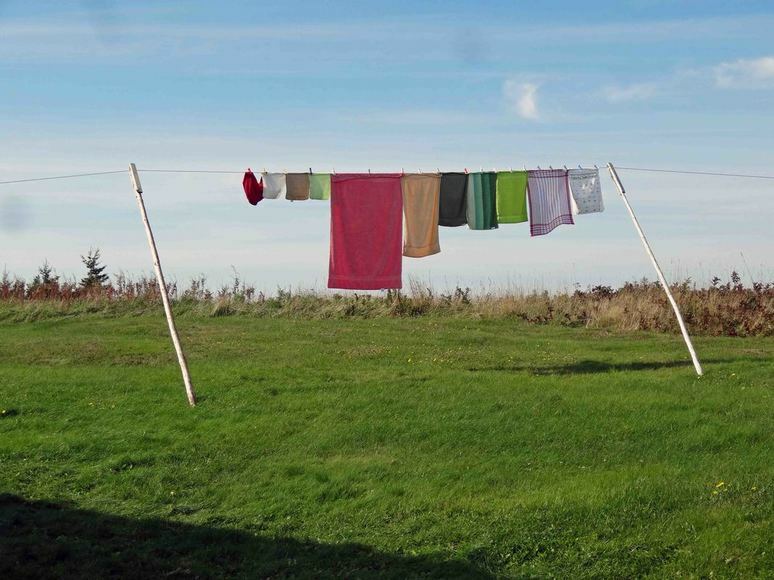 They would also help with the household chores. Young children of the stricken family would sometimes be farmed out to relatives until the funeral so as not to be underfoot with all the goings-on. 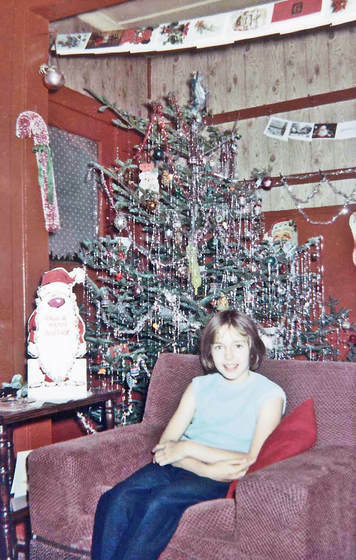 ​I had just turned 13 and was in Grade 7 at St. Augustine’s Anglican school in the winter of 1961 when my father became too ill to continue working in the mines. Because he had no health insurance, my mother had to go to work as a saleslady to make ends meet. Somebody had to stay home to keep the fire burning, fetch things for my father and keep an eye on him and my 4-year-old sister. My older sister and brother were both in high school and my mother felt that their lessons would not be as easily learned at home as mine would. I was content to do it, so it was decided that I was the best one to stay at home. (Besides, I had already proven that I was capable of home-schooling myself three years earlier when I had spent over a month at home with Asiatic Flu and finished the year at the top of my class.) As luck would have it, my teacher lived in the East End and had to walk past our house on her way to and from school. She agreed to stop in with homework assignments on her way home each afternoon and then pick up my completed work each morning on her way in to school. ​When my father was taken to hospital in St. John’s in mid-April, I went back to school, certain that he would be cured of his illness and would be returning home to us, a well man again, very soon. I remember vividly the day my mother returned from visiting him in hospital in St. John’s and asking her why she had purchased black stockings, which were only worn by widows. I can still feel my sense of shock when she told me she was going to be needing them soon. I suppose her forewarning helped prepare me for the dark Thursday evening of April 27th when I answered the phone to a nurse calling long distance from the General Hospital. I handed the receiver to my mother and then sat in the unlit front room listening to her side of the conversation. It was a brief call and I knew from her responses that it was not good news. When she hung up, she told us that the nurse said Dad had “taken a turn for the worse.” I was not familiar with this expression and said hopefully that perhaps there was a chance he could still pull through. “No,” she said, “it means he is dead.” At this point, what I had considered an idyllic family life came to an abrupt end. For the next 3 days our house was a makeshift funeral parlour. There was no such thing as fresh flowers as you would see today. Instead, funeral wreaths made of plastic decorated the open coffin. The sickly odour from them was over-powering in our small front room. My mother spent much of that time sedated in bed. Her mother and sisters saw to her needs, tended the kitchen duties and served up tea and buns to visitors. I stayed at home on the sidelines of the scene while extended family, friends, neighbours and co-workers streamed through our little house. (Other than the odd warm day in summer, this was the only time the front door was wide open all day.) It was felt that it was no place for a 4-year-old, so my older sister took the little one to our aunt’s house and remained there looking after her until the funeral. Meanwhile, one acquaintance who believed that children needed to face the realities of life and death, brought her little 4-year-old daughter into the front room and lifted her up so that she could touch my father. I was appalled and asked her why she would do that. Her response was, “so that she will not dream about him,” which, seeing as they were not family, made no sense to 13-year-old me. I learned later that this was a superstition of the time. 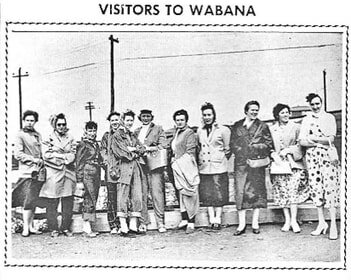 ​The Wabana Boys’ Club was part of a Canadian movement that started in Saint John, New Brunswick in 1900. 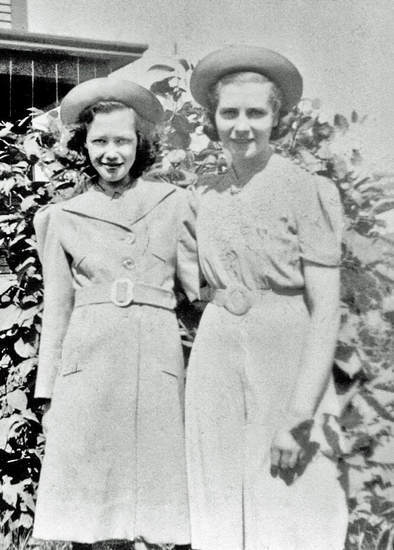 The Bell Island club was formed in 1955 to help curb juvenile delinquency. Not that the original members were delinquents, of course, but the Club was a way of keeping boys occupied so that they did not go down that path. The Baby Bonus was keeping a lot of boys in school, the same as it was doing for the girls. 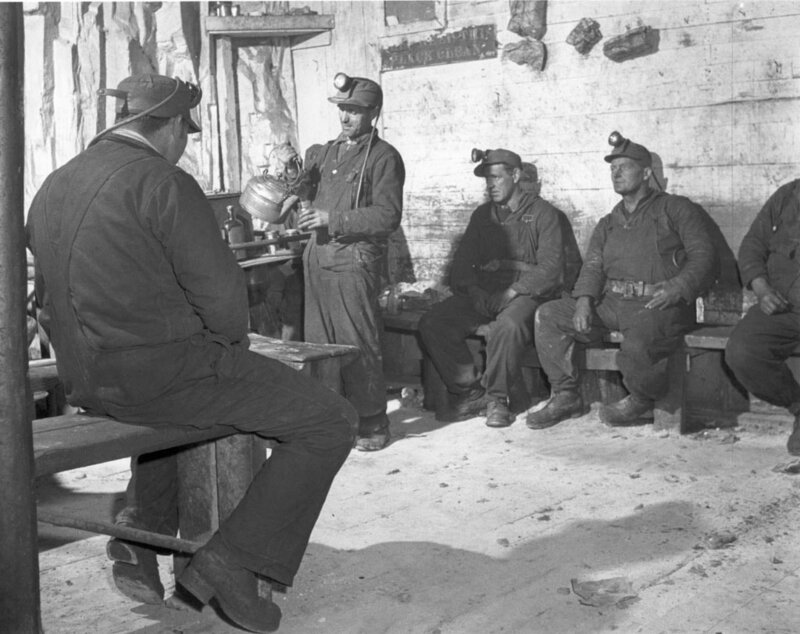 With the modernization of the mines, young boys were no longer needed the way they had been in the past. These were the “baby boom” years, so there were a lot of boys on the streets once school was let out for the day. Without things to keep them busy, they sometimes got up to mischief. At the Club, the boys could play such physical sports as basketball and floor hockey to help release some of their energies. They also played board games, read books and did school assignments. It is interesting to realize that this was an ecumenical club in a community where sports and other activities for children were normally run along denominational lines. By 1960, there were 571 (all-boy) members. Girls were not perceived to be a problem as far as delinquency went, so there was no special effort made to organize extra activities for them other than the church and school clubs they already attended. It is only since the Women’s Movement of the 1970s that men and women have welcomed each other into their clubs. Before that, everyone seemed to accept the fact that males had their exclusive clubs and females had theirs, just as there were clear lines on what was deemed men’s work and what was women’s. It was not a case of girls not being allowed to join the Boys’ Club, but rather that the subject never arose. I do not recall any of my female friends ever expressing dismay that they could not take part in Boys’ Club activities. Like the Boys' Club, the Catholic Cadet Corps and the Church Lads Brigade were exclusively for boys. 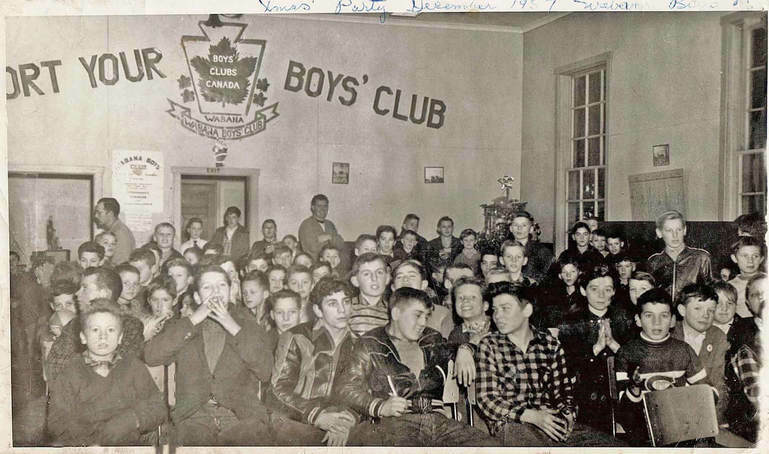 Sometime in the latter part of the 20th Century, Boys' Clubs became Boys' and Girls' Clubs. Our world has changed a lot in the past 50 years or so, and our ideas and attitudes about women and girls and their place in it are a big part of that change. New inventions were also making it easier for women to consider a life outside the home. These included such conveniences as electric kitchen stoves and oil-fired furnaces that provided central heating, eliminating the need for women to be at home all day tending to the fire. It also meant there was no soot in the air, so less cleaning of walls and ceilings. More and more convenience foods were coming onto the market, so that women no longer needed to spend so much time preparing and cooking meals. 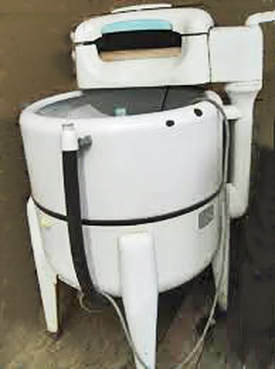 Automatic washing machines and clothes dryers meant less time and work keeping clothes clean and getting them dried. The one invention that topped all the others in freeing up time and housework for women was the birth control pill, which came on the market in the United States in the late 1950s, but was illegal in Canada until 1969. “The Pill” meant that women could now decide if and when they wanted to have children and allowed them to have only as many children as they desired. Regulated child daycare centres were still unheard of, but some women who wanted to stay at home with their young children began setting up home-based daycare services where they would look after a few other children to supplement the family’s income. Thus, women no longer saw marriage and raising children as an end to their earning careers. 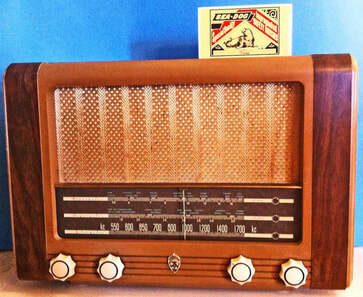 ​Before 1958, the phone was basically a wooden or metal box with a bell which rang, a mouthpiece to speak into, a receiver on the left to place to your ear, and a little crank on the right, which you turned to signal the operator when you wished to make a call. 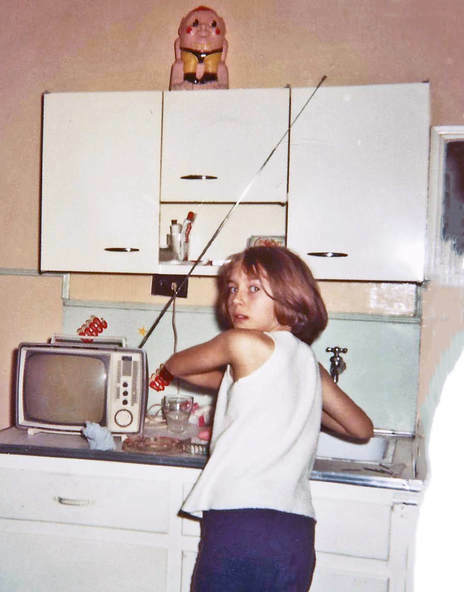 To place a call, you picked up the receiver and placed it to your ear, turned the crank and waited for the telephone operator at “Central” to connect to your phone. She would say, "Number please," and you would tell her the number you wished to be connected to. She then plugged your line into that line. 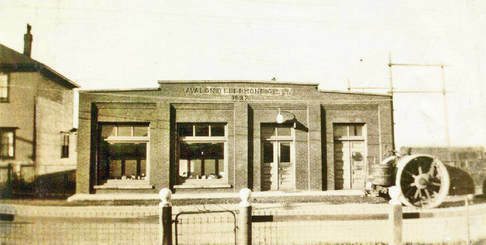 Below is a picture of the Avalon Telephone Building on Main Street. Jessie worked at Avalon Telephone for 3 years until, at the age of 19 in 1943, she married Stanley Hussey. Stan was the son of Winnifred Belle Jones (1897-1943) and John Arthur Hussey (1893-1948) of Upper Island Cove. 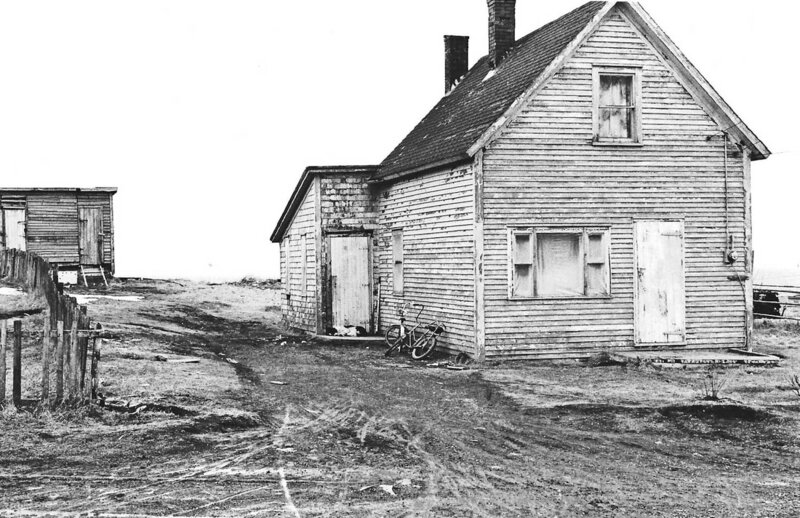 In 1928, the family moved to Scotia No. 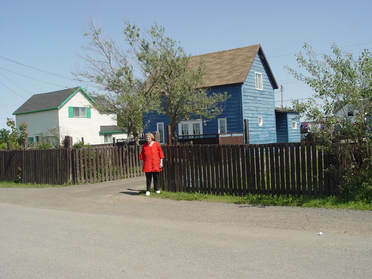 1, Bell Island, where John worked as a timekeeper in No. 4 Mine. 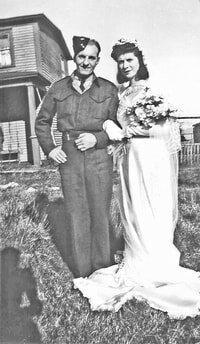 Stan was 22 years old at the time of his marriage and was a member of the Newfoundland Militia, patrolling Bell Island following the two German U-boat attacks that had killed 69 men in the Tickle the previous year. When the war ended in 1945, he obtained work in the Wabana mines. With DOSCO pouring millions of dollars into upgrading the mine infrastructure on Bell Island, life was good during the 1950s. 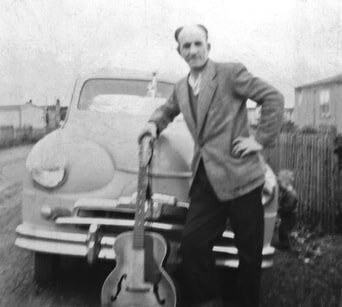 With only Grade 5, Stan was steadily employed as a labourer in the mines and, even though he did not earn a large pay cheque, because of Jessie’s frugality he was able to indulge his dream of owning a series of second-hand cars. He built a garage in the backyard and spent his spare time there, tuning up the engine, changing the oil and doing whatever needed to be done to keep his cars in good repair. In 1957, they had their fourth child. Being a relatively young man who thought he would live to an old age, Stan had opted out of the Company’s insurance plan, so Jessie now needed full-time work. She found employment at Charles Cohen and Son’s clothing store on Town Square, earning $25 a week. 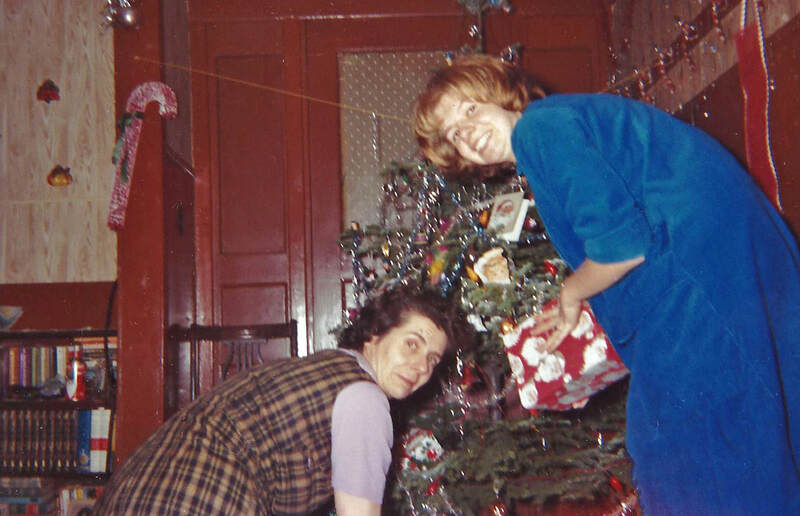 She did not feel the need to remarry because my older sister and I were teenagers who could help out after school, and our little sister was soon starting school, so only needed looking after for a year or so by our grandmother, Emeline, who lived next door. Because she herself had not received enough education to get a higher-paying job when her husband died, she was determined that all her children would not only finish high school, but would “get a trade,” as she referred to it, so that, should the need arise in the future for any of her daughters, they would have the means to earn a living.